The Pearl Elite features Sealy's PostureTech Zero Deflection spring system for a remarkably firm feel - our most supportive ever giving extra durability and support, Ideal for people of above average stature. Designed in conjunction with leading orthopaedic surgeons and scientists this mattress offers a Consistently firmer support across the entire surface of the mattress and the Sealy Edge Guard provides edge-to-edge support for greater durability and comfort. As with all sealy mattresses the Pearl Ortho is finished in a soft-touch Tencel fibre fabric that offers excellent moisture management and heat dispersion - keeping you cooler and fresher as you sleep and is endorsed by Allergy UK for the reduction of house dust mites. The mattress is accompanied with a Sealy universal divan base finished in a caramel coloured fabric. 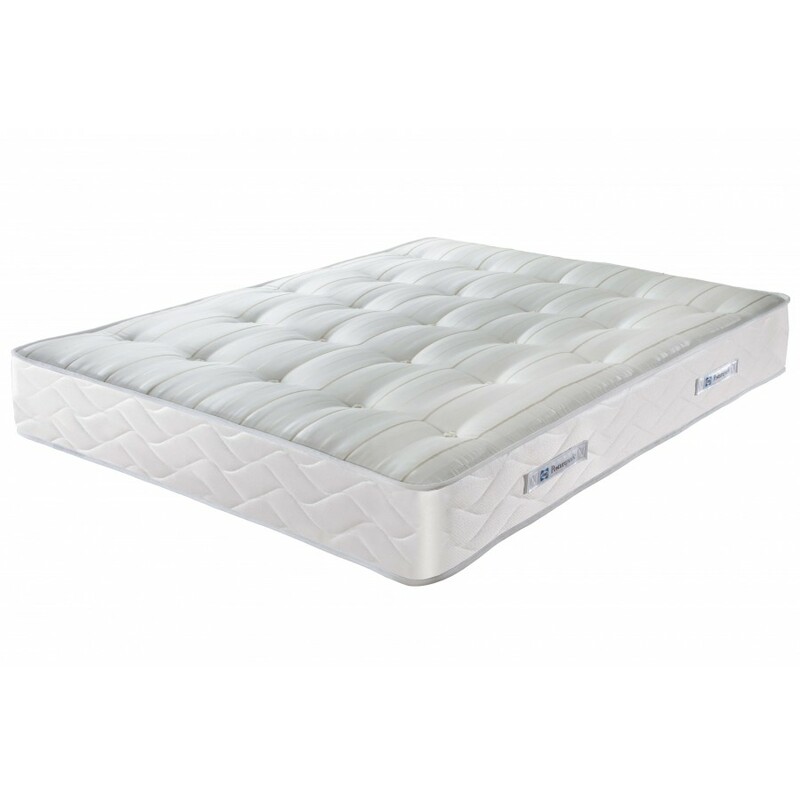 It is a platform style, solid top designed to give your mattress a slightly firmer feel. ***Please Note*** The 2 drawers are positioned 1 on each side, at the bottom sides of base, Pictures are for Illustration purposes only! If you require both drawers on the same side of the base, contact us for details.